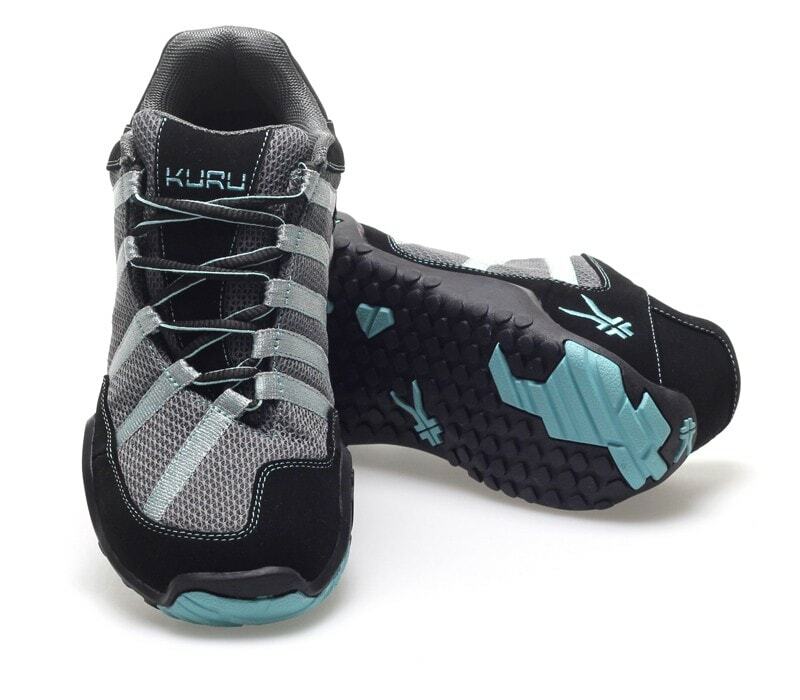 At first glance of the Kuru Footwear website, I thought the shoes were very unique looking. I was instantly intrigued. Turns out that Kuru has developed a revolutionary technology to create the “World’s Most Anatomical Midsole” for active footwear and walking shoes. With the intelligence of Podiatrists and Physical Therapists, they were able to combine the support of custom orthotics along with space-age materials resulting in the ultimate comfort shoe. The KuruSole™ chassis was specially invented to create a cushion-y heel pocket that literally molds to your foot, instead of other flat insoles that provide little to no support and can result in an uncomfortable shoe – and even injury. The fat pad that we have under our heel bone works as a shock absorber for our whole body. The Kuru shoe works with this fat pad by protecting it with their secret HeelKradl™. The HeelKradl™ flexes inward with each step, which creates a cupping action to keep that fat pad under your heel instead of squishing it on flat insoles like typical shoes. Well, I got to see for myself with my new Kuru Chicane trail shoes. The Chicane won the best trail shoe in the 2011 About.com Reader’s Choice awards! It has some impressive features, like: A fully gusseted tongue which keeps out debris, water and dust, a unique lacing system that wraps the webbing around the foot so it fits like a sock, moisture-wicking liners, large lugs for excellent traction, and much more! Since spring is just around the corner I look forward to heading to our favorite hiking trails at Swallow Cliff! Also known as “the stairs”, Swallow Cliff is a popular place to work out around here. My sister and I like to do the stairs just once or twice and then head to the trails. My Chicanes will get a great test there, but for now I have been trying them out on daily tasks. I definitely notice less impact on my heels. At first I did not like the way they felt in the arch area, but I can already feel them forming to my feet more. The more I wear my Kuru shoes, the more comfortable that they get. I love the way they look, too! They are different, but I think they are sharp. Oh yeah! Get your typin’ fingers ready! I love the look of those shoes! I really need a great pair for hiking this summer! That trail looks gorgeous! I love these! They have some really cute unique shoes! Thanks for introducing me….. I always need more shoes!! These sound like super comfy shoes! These sound great, thanks for the giveaway. Great review! Makes me want to try a pair!! They look very comfortable and cute. These shoes sound amazing! Love how its mixes fashion and function! These look so supportive! I’m on my feet all day and these would make my life so much more comfortable. I like that it has the technology to help keep the fat pads of your feet where they belong. It helps against plantar fasciitis that way. These look and sound so comfy yet fashionable! Always looking for a comfortable shoe and these look great! These shoes sound very cool. It’s not uncommon for my heels to hurt after a long day of standing or walking, so I’d love to try these! I love the colors on the shoes and they look soo comfy! What cute shoes! I’d love to try these out- my running shoes are totally done in! I’m always looking for a more comfortable pair of shoes and would love to give these a try. I love the way these look, and I think it’s amazing that they sound so comfy. Thanks for the view…I will be looking for these! These shoes are adorable! I would love to have them for my workouts. These are so cool! I love that that are asymmetrical! I love these shoes & they look so comfy! Nice review! Interesting to know that they worked with Podiatrists and Physical Therapists to make the shoe both bit correctly and comfortably. Nice pic’s too. We have lots of trails at a park near our home, so these would be great. I’ve been looking for trail shoes and it’s nice to know these won a reader’s choice award. Kuru are nice looking shoes! I like these shoes because they have the support that is needed for people who walk. I am a walker and I need a good shoe to support me! Kuru shoes do the job! I love the colors and they look so comfortable! They look comfy & I would love a pair of hiking shoes as I’m going to start hiking with my four year old grandson this year. Thanks! They look amazing for working out in! I’d love a pair! I love the look of the Kuru shoes. Nobody else wouls have them. Very original! 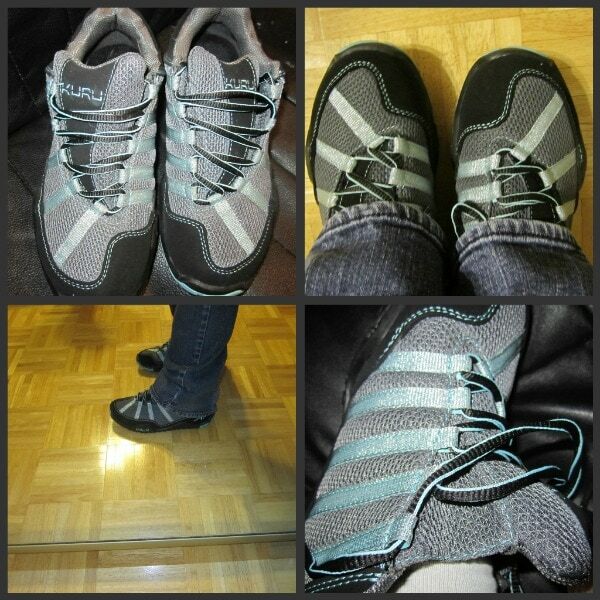 Somehow my hiking shoes have become too big for me…these look great and I love the trail pictures, hope I win! They look comfy and sound like great shoes. Seriously need good walking shoes! These look like the ones! I love the look of these shoes! Thanks so much for the review, hubby and I are hoping to start hiking soon (he’s wanted to for the past year) so I really need to find a good pair of shoes.. these sound perfect. I walk everyday for my program plus 4-5 times walking the dog. I had never heard of these shoes. I am interested in the secret HeelKradl. I think that there will be less impact on my heels. They sound perfect for me, as I wear out a pair rather quickly. Interesting look; I kind of like it. Now that’s my kind of shoe! Great review! These are a really cute pair that you tried out too. I’m excited that Spring is so near b/c we live in Oregon & we have limitless trails & hiking/walking areas & our son is almost 3, so now is a great time to get serious with my footwear! Thank you for the chance to win! Styling is really different. I like it! I love how the lacing is done. Very diff. This is a very smart looking shoe. Would definitely love to win a pair. The shoes look very comfortable! Thanks for the chance to win a pair! Those look SO comfy and the colors are perfect! Love them! I’m definitely going to be checking out their website because I’m sold on the heel pocket that molds to your foot. Forget the hiking! These would be great for me to wear at work! I am on my feet just about all day and finding good shoes with support is hard without having to spend a small fortune on a good inserts! These Kuru shoes like they are just the answer for my daughter’s feet! In her free time from graduate school, she’s enjoyed hiking in AZ. From the heal protection to the moisture wicking liners, they seem like they would be a perfect fit for her! Love the cushion-y heel pocket. That is just what I need. I really walk hard on my heels. Those shoes look great-I have been trying ot find a good shoe for walking around town or trails! This look so comfy, would love to try these. They sound like the perfect shoe. I’ve found that since I’ve lost weight, my current shoes don’t provide enough protection/padding for me…these seem like they would fit the bill! I’ve got a lot of places where I live where I can use these, too. Thanks for your review! I really like the looks of these shoes! I like them but my favorite is their Aalto Chukkas. Thanks for the review. I’ve never heard of Kuru before, but they do seem to appear more logistically designed for our feet. Maybe my next running shoe?? I could really use a good pair of shoes like this! Thank you for the chance to win shoes that mold to my feet. These look really awesome…I wear Birkenstocks all the time because of their footbed…but they really are not made for hiking and my tennis shoes kill my feet…..thanks for the review and for the giveaway! These look and sound like the kind of shoe I need. My heels are so sore all of the time. Sounds like these would help. I could definitely use a pair of good hiking shoes! I love hiking and my current shoes are really old and worn out. Woohooooo thank you for this chance!!! I think these shoes look awesome and I love reading a “real” person’s evaluation of them. Wow what an awesome review. Thank u for that. If I had a job I wld definitely give these a try based on ur review. Thanks again. They are very unique looking. What a sweet pair of shoes! Thanks for the review! My son would love these shoes more than I do (and that is a lot.) He has such pain in his feet after just walking, these are like what the Podiatrist suggested for him. I think I would love the cushion-y HeelKradl in these shoes!! I love that these are well padded. That makes all the difference. These look super comfortable! Hope I win! Trying to get back in shape… these would really help!!! Thanks for the chance…. These seem super comfy! I’ve had issues with my heel before so I think these would be great for me! Thanks so much for the review and giveaway! I love that these are well padded. These look great, I really could use a new pair of walking shoes. Mine are over 6 years old! I had never heard of this brand before. They definitely sound as if they would be worth trying. Love the shoes! Thanks for the opportunity! love the review, now I need these shoes lol. I would love to try these, I need comfortable shoes!! I hope I win these shoes! My feet are terrible! These look like great shoes, I’d love to try them out. I’ve never heard of this brand, but they look awesome! Thanks for a great review! Thanks for the great review. I like the looks of them. My husband truly has problems with his feet now that he is getting older. These might be great for him. I love how lightweight they look. For someone with extreme fatigue due to illness this would be great not to LUG heavy footwear around under you. Some tennies are extremely heavy. The other point I would love is that the cushioning should provide some great shock absorbing capability, which would mean a lot of pain relief for those with back injury. My spine is a mess after being tangled up with a semi many years ago…good shoes are REALLY important for good back health and posture. I will have to see about any endorsements by foot docs? Thanks for showing us some cool shoes. Most would never have heard of them without the reviews. i saw these recently in a dept store, think belk’s, and really liked them…the heel looks very supportive as well as the toe pad area. I’d love to try the walking shoes! Those are cute shoes So many trail shoes look like something my brother would wear, just smaller and with a pink stripe…. These shoes are so cute! I especially love the colors! I love how they look. What an interesting way to lace shoes! Would love to try these. i think the HeelKradl™ sounds nice. This sounds like it would feel comfortable with my bone spur problem. I love going hiking with my family but I work 12-16 hours days at work(at my local hospital) and I am on my feet the majority of the time. I love how the shoes seem to be comfortable and molds to your feet I could use these! Hmm,maybe a new pair of shoes will motivate me to exercise! 10 months post birth and I can’t drop a darn lb to save my life! So frustrating. These shoes look pretty awesome though. these shoes look very comfortable!